That is a colourful selection, a good month indeed. All this and a trip to Ireland too, you have been a busy bee! These are so cheerful and colorful. I love it! You are so productive, even with a job. It is very impressive to me. Everything is beautiful. You did have a productive month, Katy! I'm still loving that iron mini! This was your super productive month, for sure. 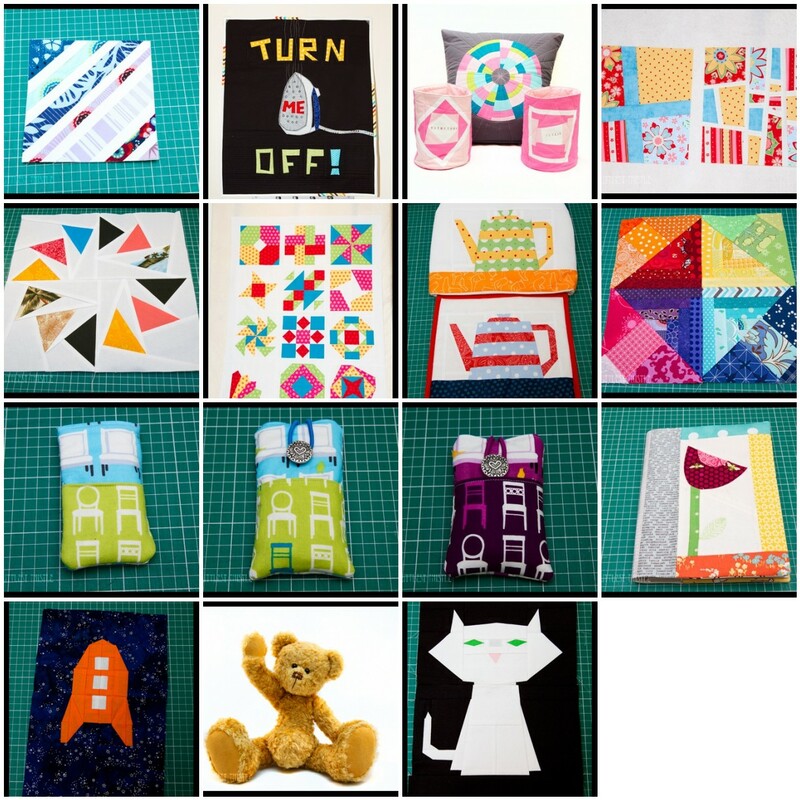 All the paper piecing and all those projects, wow! Paper piecing galore! 🙂 It's lovely to see it all together. i love that little bear waving hello! so so adorable! Lovely to see them all again! I love all the variety! The bear is too cute! I love his little wave to the camera! Lovely projects, nice to see them all together! You are such an eclectic sewer! Great month with more to come! Goodness you were very productive! Great finished there… well done!